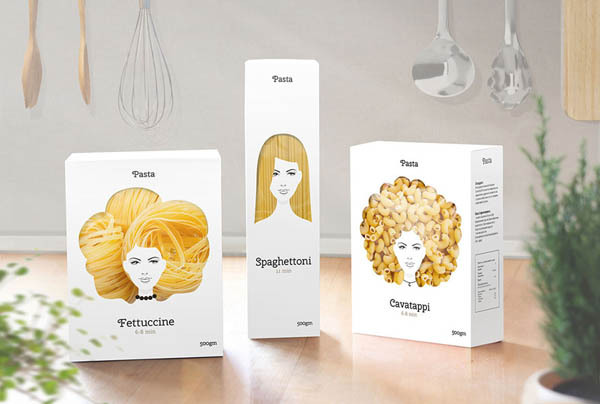 Although I am not quite sure how the pasta connected with hair in those packaging designer’s minds, but this set of packaging design is for sure really creative and eye-catching. 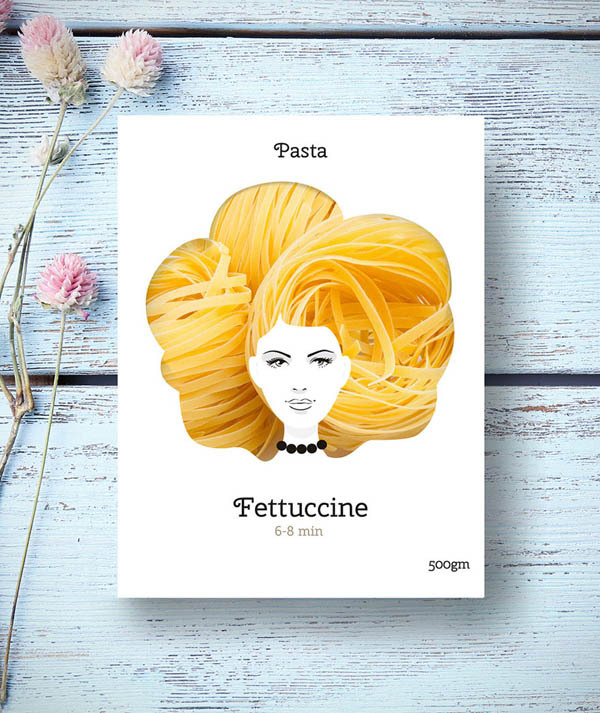 Published by Maverick Moscow based company Nikita, this playful design concept turns pasta into hair. 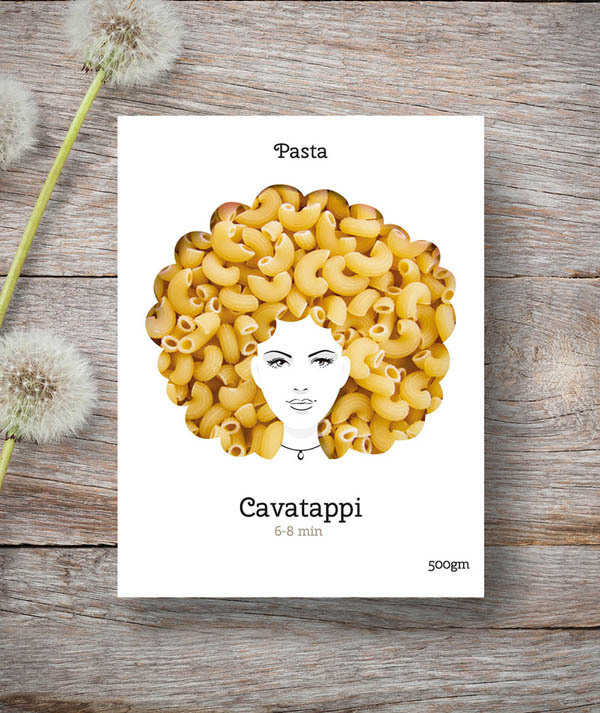 Or, at least make pasta looks like hair when viewed through transparent plastic cutouts on the box. 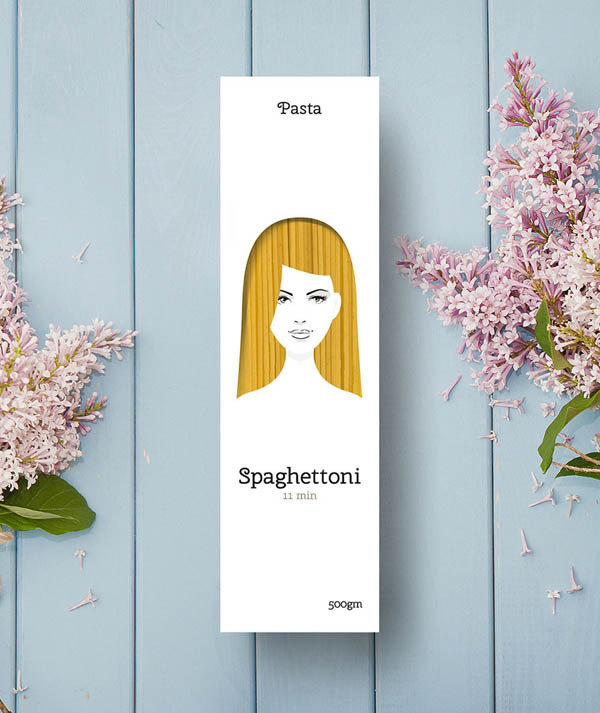 Quite smart right? 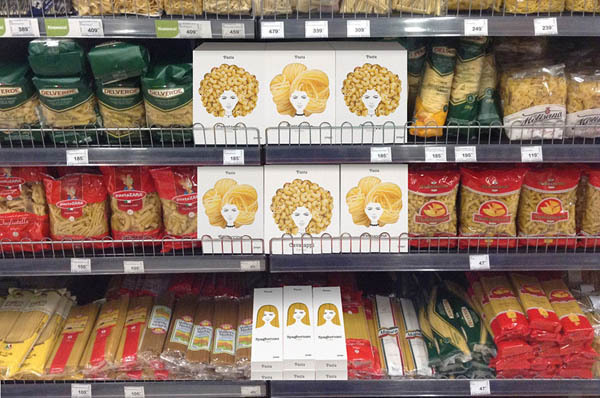 And they are definitely outstanding on the shelves!